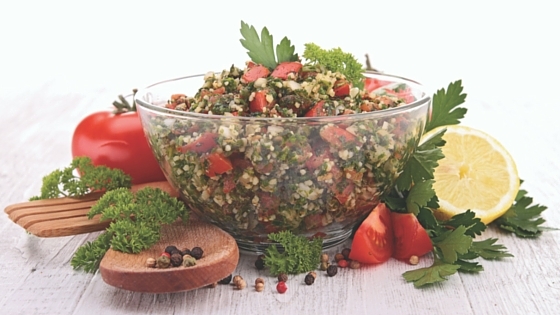 Place the parsley and mint in a food processor and pulse on low until finely chopped. Transfer to a bowl and add the rest of the ingredients. Toss well and serve.